Cargo theft is a real problem, and thieves are developing ever more sophisticated methods. Always stay vigilant! Despite increasing safety precautions and the adoption of new technologies, cargo theft continues to steadily rise year after year. In much the same way as computer and network security, cargo thieves keep pace with new developments and adapt their methods to try and exploit any security hole within the logistical supply chain. And security experts anticipate the threat level for shipments in the United States to be on the rise in the coming years. How can companies prevent the threat of lost revenue that cargo theft presents? Understanding how thieves operate and learning best security practices for patching vulnerabilities are two steps every business should undertake as quickly as possible. To prevent theft, one should be aware of the various tactics thieves use to steal cargo. While it is true that some theft occurs through the simple hijacking of cargo trucks, the pervasiveness of technology in the logistical arena grants potential thieves even more ways to steal cargo. At the moment, there seem to be five main tactics that are frequently used. Identity Theft: By now, the problem of identity theft is widely known thanks to large data breaches at big corporations. However, this problem not only affects personal identities, but also identities in the logistical field as well. Cargo identity thieves can use the information of a legitimate carrier to set up a haul for a customer before disappearing with it. This type of theft is extremely sophisticated and can take months of planning to pull off. Fake Pickups: Another related scheme involves the thieves simply posing as the legitimate carrier, picking up the trailer, and driving off with it. 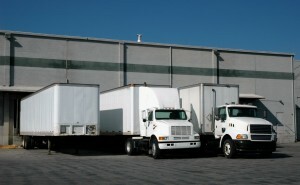 Often, the thieves call the business and say they will arrive early for the scheduled pickup. They then arrive a few hours prior to when the legitimate carrier was supposed to arrive, sign for the shipment, and drive off before the actual carrier gets there. Misdirection: A very sophisticated scheme involves setting up an apparently legitimate operation that even includes insurance contracting. These thieves may even secure some contracts and transport a few loads with no problems at all, lulling the target into a false sense of security. Then, one day, the thieves may claim a mechanical failure during the transit of their target load. As the truck is in the shop getting repaired, the thieves bring in another truck to make off with the trailer. They may even file a police report and call their insurance company to continue the ruse. Stealing a Container: This tactic is most effective at busy truck stops and large distribution centers that lack effective oversight. The cargo thieves simply hook up trailers to their own trucks and drive off with the cargo. While not especially sophisticated, it can be quite effective and devastating in an ill-prepared environment. Hybrid Scams: In some cases, the actual cargo carrier is legitimate, but they have built up relationships with thieves, and they work together to steal cargo. Once the theft has occurred, they can claim no involvement or awareness of the intentions of these third parties. Cargo theft is a very real danger for shippers, but there are some best practices you can implement to protect your company from the damage it can inflict. First, don’t neglect carrier vetting when evaluating contract bids. Use every resource available to screen potential carriers before selecting contracts. When working with a 3PL company like AFP Global Logistics, you can be sure that we work only with partners we can trust – we have been developing relationships with carriers and freight services companies for 25 years! Second, be comprehensive about verifying your driver’s identity. As we mentioned above, some less than reputable carriers may be working with cargo thieves despite their appearance of legitimacy. Do your due diligence when researching the carrier, but also verify that your driver actually works for the carrier and keep accurate records of all relevant information. Third, use technology to your advantage. GPS tracking lets you know exactly where your shipment is at all times – ask your carrier or 3PL about implementing this essential technology into your cargo shipments. Finally, keep abreast of the latest developments in the field of cargo security. There’s a wealth of information out there for those who look for it, and you can stay on top of the latest schemes to prevent them before they happen to you. Always have an action plan in place for when you or an employee notice anything suspicious. Report any suspicious activity to the authorities – when it comes to your cargo shipment, it’s always better to be safe than sorry! This entry was posted on Friday, December 1st, 2017	at 12:14 pm	and is filed under News	. You can follow any responses to this entry through the RSS 2.0	feed. Both comments and pings are currently closed.